OSWEGO, NY – Oswegonian Edward S. Lisk received the highest honor and recognition in the band world on December 17, 2015, at the Midwest International Band and Orchestra Clinic in Chicago. The Academy of Winds and Percussion Award is presented to those whose contributions are determined to be so outstanding that they deserve and warrant honor and recognition. The National Band Association established the Academy of Winds and Percussion Award for the purpose of recognizing those individuals who have made truly significant and outstanding contributions to furthering the excellence of bands and band music. The Academy of Winds and Percussion Award is a nine-inch silver figure designed to be the “Oscar” of the band world. The award is literally a “Who’s Who” list of the greatest leaders involved in the band movement during the past five decades. The recipients of the award include an international cross section of important individuals representing all aspects of the band world, who have rendered remarkable service to bands. Lisk is an internationally recognized clinician, conductor, and author. He is an honored and elected member (48th) of the prestigious National Band Hall of Fame for Distinguished Conductors. Lisk joins the ranks of notable conductors such as John Philip Sousa, Edwin Franko Goldman, Henry Fillmore, Col. Arnald Gabriel, and Col. John R. Bourgeois among many others. In 2009, Lisk received the Midwest Medal of Honor. The Midwest Medal of Honor recognizes the recipients for their conspicuous efforts, worldwide recognition, and continuing influence in the development and improvement of instrumental ensembles deserving special recognition. He is also the recipient of the 2012 Phi Beta Mu Outstanding Contributor Award. Called a “unique leader in the profession” and “a dynamic force in music education,” Lisk has been invited to speak and conduct throughout the United States and abroad. He is an inducted member of the prestigious American Bandmasters Association and in the year 2000, served as the 63rd president of this distinguished organization founded by Edwin Franko Goldman. His active guest-conducting schedule includes all-state bands, honor bands, university, and professional bands. Since 1985, Lisk has served as an adjunct professor, appeared as a clinician/lecturer, adjudicator, and guest conductor throughout 85 universities in 46 states, five Canadian Provinces and Australia. He is the author of The Creative Director Series (11 pub.) published by Meredith Music Publications, a co-author of the highly acclaimed 10-volume publication by GIA, Teaching Music Through Performance in Band and editor of the Edwin Franko Goldman March Series for Carl Fischer Music Publications. 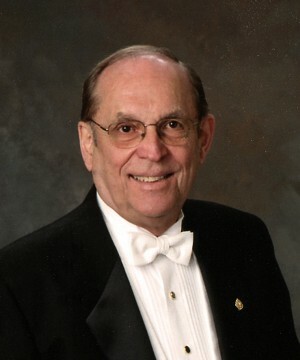 Lisk has served as vice president (Emeritus) of the Midwest Clinic Board of Directors and a past-president and CEO of the John Philip Sousa Foundation, a past-president of the National Band Association (’90-’92) and served NBA as Executive Secretary Treasurer (‘97-‘02). He is the recipient of many distinguished awards and titles. Ed was one of the most influential people in my life when I was in high school. I would not be who I am today without that influence. I have tremendous respect for him, and can’t imagine anyone being more deserving of this honor. Barbara Phillips Syrell – OHS class of 1976. There isn’t a day that goes by that I don’t use something Mr. Lisk taught me. He is a genuinely inspiring teacher and I am happy to see he is recognized for it. Mr. Lisk,( for even at my advancing age I cannot think of him as anything else) is most deserving of this honor, and more. He was my band instructor and flute teacher, although my musical abilities would never do him justice. He accepted me for what I had to bring to the table. I was never the best or the brightest, but I was one of the most dedicated, because of him. Congratulations Mr. Lisk. Thank you for being in our lives. Barbara’s sentiments couldn’t more accurately capture my feelings. Congratulations Ed, and thank you for enriching my life, and so many others. Ed and I were room mates for 3 years at Dytacuse University and in the 101st Airborne Division Band for two years. A terrific clarinet player and an even more terrific person. A good friend who has impacted instrumental music on both the national and international arena. CONGRATULATIONS Ed. Mr Lisk was my music teacher from eighth grade thru senior year..My class dedicated our yearbook to him as we loved and respected him very much. In 2013 we celebrated our 50th class reunion and all remembered him with great affection . We realized how lucky we were to have this young gem as our teacher . Congratulations to my favorite teacher ever..With great affection Evie De Luca. Red Creek Class of 1963 . Mr. Lisk was my music teacher and band director at Red Creek Central. He was loved and respected by all! Under Mr. Lisk’s leadership our band participated in many state competitions, always leaving with a “superior” rating. I am so proud to have known this wonderful man and outstanding band director. Congratulations Mr. Lisk! Mr. Lisk was my music instructor in high school. He made Oswego High School band program what it is today!! His leadership was phenomenal and he is well deserving of this honor. I am proud that I was able to play under his leadership. Congrats Ed!! Congratulation Ed on your accomplishments in the music field. A well deserved award to you and wish you many more in the future. I had quit playing in band. His first year at OHS, he convinced me to come back. I am so glad I did. He was an amazing band director!! New uniforms, guest conductors, marching band, Disney World and a new life brought to our band where we achieved many high scoring medals in competition. Oh! We recorded a record too!!!! He deserves every recognition possible!!!!!! Way to go, Mr. Lisk! So proud to say I was his student! Congratulations, Mr. Lisk. I was one of your pupils at RCCS and will never forget how hard you worked to get us to the World’s Fair in NYC to play our music. We made a record to earn money to go and we all thought that was so exciting. I also remember whenever the Principal, Ralph DeMass, came to one of our concerts you would have us play Bill Bailey for him. We just had our 50th class reunion this past summer and expressed what a good time we always had in band. We are proud to say you started at RCCS and have achieved many outstanding awards for your dedicated work. Congratulations on this honor! Your musicianship and teaching skills have never failed to amaze or inspire me. My one regret is having graduated from OHS before I had the privilege to play under your baton. May God’s blessing of music continue to enrich you, Dorie and everyone whose life you have so deeply touched! PS – God Bless America. I know you pray for her future. I am right there with you. What a fitting early birthday present Ed! You’ve finally reached the pinnacle of your design after all of these decades dedicated to striving for, and trying to understand what it is. This explains the volumes of works and clinics you’ve produced and shared over many decades world-wide. Honor, quality, integrity, perseverance second to none. Congratulations!